A private spat between Alberta and the federal government is becoming a public fight focused on Ottawa's proposed clean fuel standard — a measure aimed at reducing greenhouse gas emissions with significant economic consequences for many industries, including the oil and gas sector. The Alberta government fears the new regulation could harm the province's economy, which is still recovering from a recent recession. Most Canadians have never heard of the clean fuel standard (CFS) before, but the policy would raise prices for gasoline, diesel, natural gas and other sources of energy. These price rises would be in addition to the increase stemming from the federal carbon tax. The CFS is part of the federal government's effort to reduce greenhouse gas emissions and reach its international climate change commitments under the 2016 Paris Agreement. The CFS aims to make all fuels cleaner, and includes policies such as adding ethanol to gasoline or requiring more renewable natural gas to be produced from landfills and food waste. "It is a policy that has kind of crept up on people because we have been more concerned with the carbon taxes and other policies that have been brought forward," said Warren Mabee, from Queen's University's Institute for Energy and Environmental Policy. "There will be a cost involved. People will notice an increase on certain bills." As concerns mount, the federal government has delayed the release of the CFS. The proposed regulations for liquid fuels will be announced in spring 2019, while the regulations for gas and solid fuels will only come out in fall 2020. The Alberta government has its own climate change plan including a carbon tax and a cap on oilsands emissions. The plan involved a rebate for low-income families to cope with extra costs and funding for industry to invest in energy efficient upgrades and research new technology. "This feels like they are writing off Alberta and we can't have that happen. 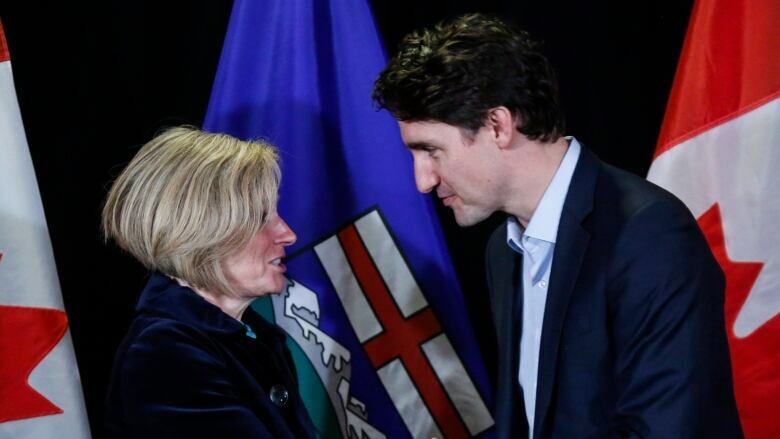 We're prepared to continue swinging on this one and stand up for what's important in Alberta," said Marg McCuaig-Boyd, Alberta's energy minister. The province is home to many of the country's sectors where commodities are set for a fixed price on the North American market, such as oil and gas production and chemical plants. Those industries could become uncompetitive when costs rise. Companies could also shift investment out of Canada if costs are lower in the United States, for example. The provincial government believes the new policy could hit Alberta hard, knocking off as much as a full percentage point of GDP by 2030. "To date, we don't feel they've thought this through yet," said McCuaig-Boyd. "We feel it's bad for our economy. Right now we're just at a time when things are looking up." Federal environment minister Catherine McKenna was unavailable for an interview, according to her press secretary, Caroline Theriault. "Our government is committed to developing a clean fuel standard to reduce carbon pollution by 30 million tonnes by 2030, which is a reduction in pollution equivalent to taking 7 million cars off the road for an entire year. This is an important measure in our plan to protect the environment and grow the economy," said Theriault in an emailed statement. On Wednesday morning, federal natural resources minister Amarjeet Sohi said his government is listening to concerns, but the policy will proceed. "I know there are many people out there who would rather see taxpayers pay for the cost of pollution and for us, I think we need to have a combination of actions and this will be one of them," Sohi told the Calgary Eyeopener. At least one oilpatch CEO has traveled to Ottawa to personally lobby the federal government, according to documents obtained by CBC News under the Access to Information Act. Imperial Oil CEO Rich Kruger and senior VP Theresa Redburn met with deputy finance minister Paul Rochon on May 5. According a briefing note for Rochon in advance of the meeting, the CFS was the one issue in particular Kruger wanted to discuss. When asked about the meeting on Tuesday, Kruger couldn't recall all the details of the meeting, however said he's spoken publicly and privately to the federal and provincial government about the CFS and his concerns about the industry's competitiveness. "The clean fuel standard would have a major impact on not only our business, but on every Canadian's cost of living," he said. British Columbia already has a clean fuel standard for liquid fuels, however Canada would be the first country in the world to have such a policy on liquid, gas and solid fuels. 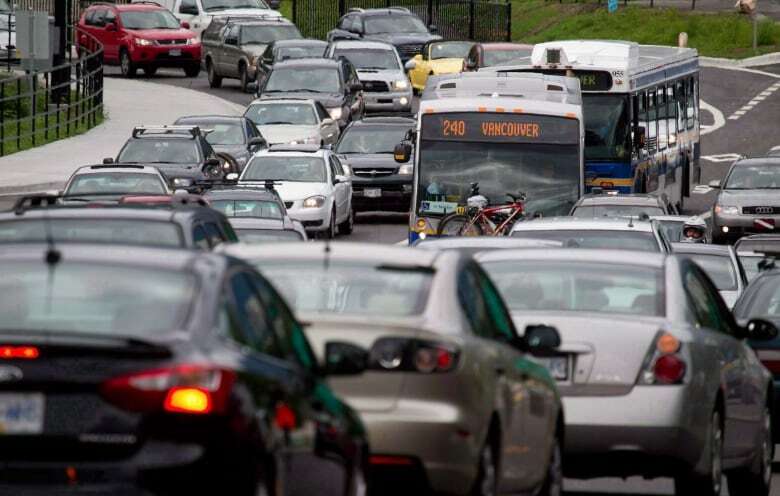 Between 2010 and 2016, the B.C government says its renewable and low carbon fuel standard avoided the release of over six million tonnes of greenhouse gas emissions. "Even if we implement all of the policies currently in this pan-Canadian framework, we still have a gap toward meeting our greenhouse gas emissions reduction target under the Paris agreement. So, we need to raise ambition with all of the policies where we can and find additional avenues to reduce emissions," said Isabelle Turcotte, director of federal policy at the Pembina Institute, an environmental think-tank. She agreed the CFS will increase costs for the oilpatch, but technical advances could cushion the blow. "The oil and gas sector is not monolithic," she said. On average, oilsands companies have reduced their greenhouse gas emission intensity by 10 per cent since 2012, according to the Canadian Oil Sands Innovation Alliance. The oilsands produces 9.3 per cent of Canada's overall emissions. "[The CFS] is going to be a concern for people in the oilpatch because it really asks them to put their money where their mouth is," said Mabee, with Queen's University. "We've been hearing for years that the sector is able to make things cleaner and reduce their overall carbon footprint and that they've been doing that. Well, now they are going to be forced to move in that direction." The industry group representing the majority of Canadian oil and gas companies said it is trying to help the federal government understand the negative implications of the CFS. The Canadian Association of Petroleum Producers (CAPP) also said it's already having to adjust to other climate related policies. 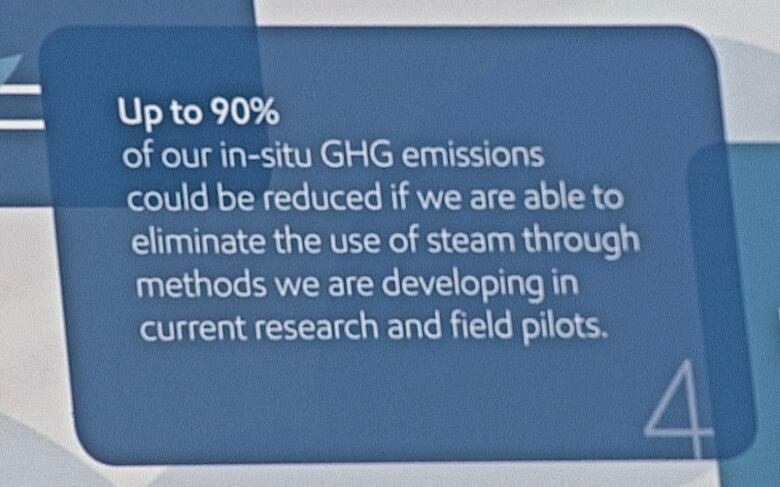 "We want to focus on the methane reduction emissions and on the upcoming carbon pricing of emissions and we should be excluded from the scope of this clean fuel standard," said Patrick McDonald, director of climate and oilsands for CAPP. The CFS could create new jobs and economic growth for some industries, such as the agriculture sector as the need for biofuels increases. Alberta is well positioned for that growth considering the province's large agriculture and refining sectors. Some proponents of the policy say the oilpatch's concerns about industry competitiveness and too many layers of regulations are exaggerated. "I think that's a misrepresentation of facts and over dramatization of the costs that these regulations would bring," said Amin Asadollahi with Horizon Advisors, an Ottawa-based environmental research and consulting firm. "This could create jobs and could also result in innovation. I see the clean fuel standard as complimentary to other requirements such as the price on carbon, the methane regulations, and the cap on emissions from the oilsands," he said.